Colorful leaves are scattered all over the ground, the sky is gray and there’s a chill in the air. That can only mean one thing: it’s time for Hinda’s annual round-up of Halloween(ish) merchandise! The only nightmare here is the thought of having to pick which of these items is the best – they’re all so great! Treat yourself to a few of these and have a happy and spooky Halloween! Plan your trick-or-treating with confidence using this handy tool! 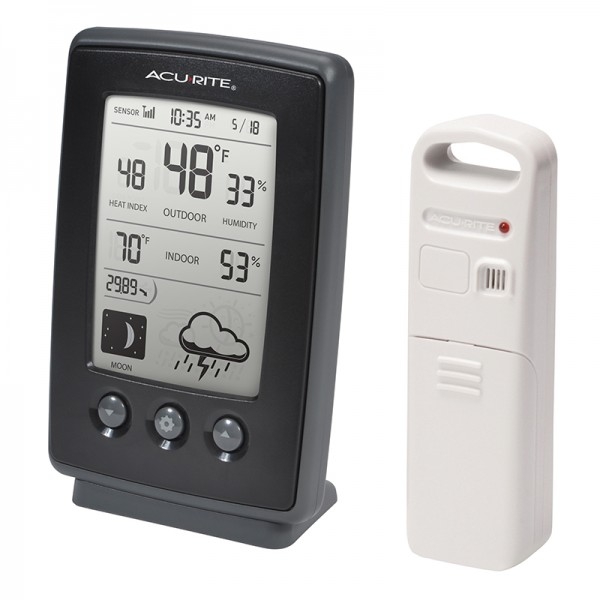 Keep track of moon phases, weather forecast, temperature and more with the wireless weather station. Using patented Self-Calibrating Technology, the weather station provides your personal forecast of 12- to 24-hour weather conditions generated from a wireless sensor in your backyard, giving you the most accurate weather forecast available for your exact location. No creepy-crawlies here! She’ll be snug as a bug in a rug this fall when she cozies up in the Lady Bug sleeping bag! 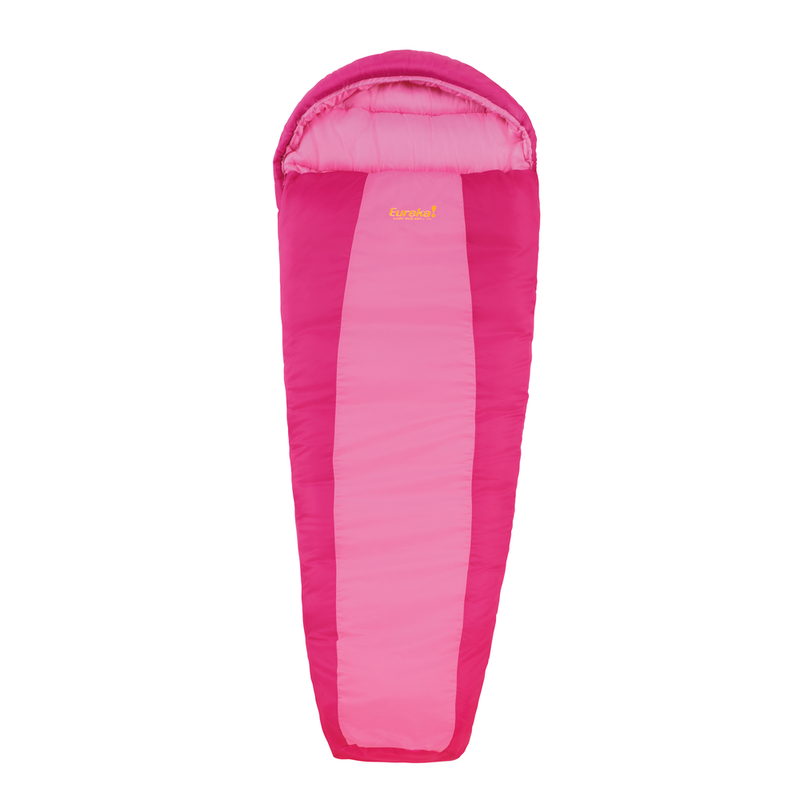 It’s constructed of a durable polyester taffeta shell and liner with a Number 5 non-locking self-repairing zipper. It features a double layer off-set multi needle quilt construction and is rated for a temperature of 30-degrees F. Includes a stuff sack. Everyone’s favorite superhero, Batman™, is always ready for Halloween! Enter the Batcave and get ready for some exciting adventures! Park the Batwing and get to work with all of the amazing Batman gadgets, but watch out – Catwoman is sneaking about! Kids will develop creativity and building skills with this iconic, easy-to-build set featuring lots of extra bricks for extended play. 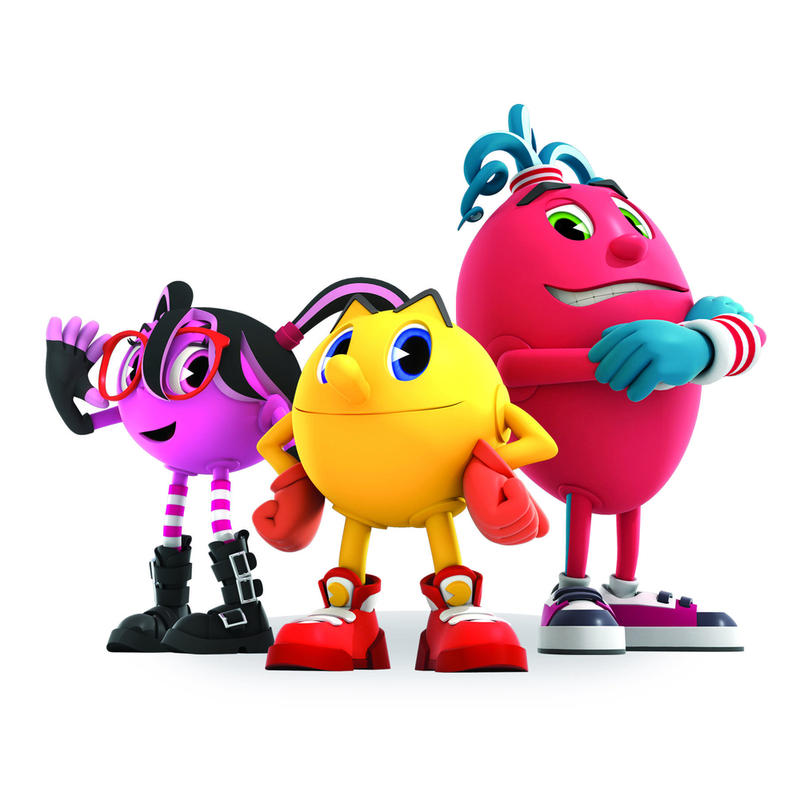 Pac is back in an all-new experience for a whole new generation of fans. The story begins as the menacing ghosts escape from the creepy Netherworld to invade PacWorld. These frightening ghosts cause nothing but trouble wherever they go! Pac and his two best friends, Spiral and Cylindria, rise to the challenge of protecting their home in a big, bustling, bonkers world of action, adventure and just plain wackiness! Turn your little tyke into a little monster with the spook-tacular new Razor® Jr. Monster Kix™. The extra wide deck and 3-wheel frame help young riders stay on their feet as they build coordination and balance, while the detailed hand grips kick start young imaginations for some monster role play! Get ready for an outbreak of infectious fun and laughter with the all-new Razor® Jr. Zombie Kix™. Designed for little monsters still building their coordination and balance, this awesomely spooky ride lets kids play the starring role in their very own park or playground zombie invasion. 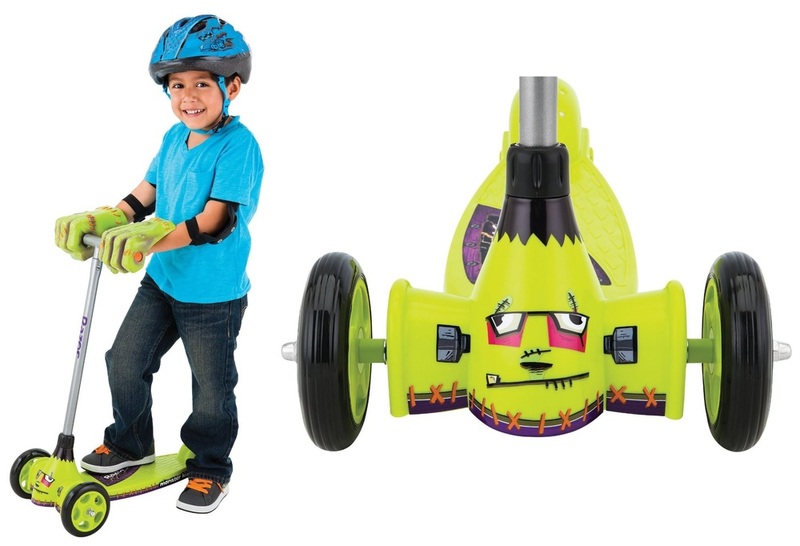 But beware – this scary scooter is tons of fun long after Halloween is over!